Out-of-state numbers are being reported as the new ‘One Ring’ scam, calling your cell phone by the scammers programmed computer, which blasts out thousands of calls to random cellphone numbers, rings once, then disconnects, according to Sharane Gott with the Better Business Bureau. 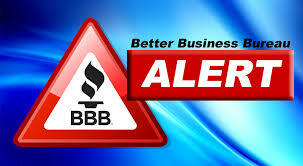 The BBB of Acadiana is warning consumers not to call it back as they may run the risk being taken by a new scam. If you are a victim of the scam and do call back, Gott said, you will connect to a paid international adult entertainment service, “chat” line or other premium service located outside the country. “Victims who return the call are billed a $19.95 international call fee, along with per minute charges for the unwanted premium service, which can be $9 per minute or more,” Gott said. She said, in some cases, the scammers may put through a small charge of only a few dollars, so the scam won’t arouse suspicion. “The practice of third parties placing unauthorized charges on wireless accounts is called ‘cramming.’ The Federal Trade Commission and Federal Communications Commission have reviewed thousands of complaints about the practice and expect the problem to grow,” Gott said. These cramming calls typically originate from outside the United States. “Consumers have reported these calls coming from the following countries and area codes: Antigua or Barbuda (268), Dominican Republic (809), Jamaica (876), British Virgin Islands (284) and Grenada (473),” Gott said. • If you don’t recognize an out-of-state telephone number on your caller ID, ignore it and, if you do answer, do not call back. • Check your cell phone bills carefully and inform your carrier if you spot any unauthorized charges. “The earlier you document this and other frauds, the better your chances of having some or all of the charges removed,” Gott said.